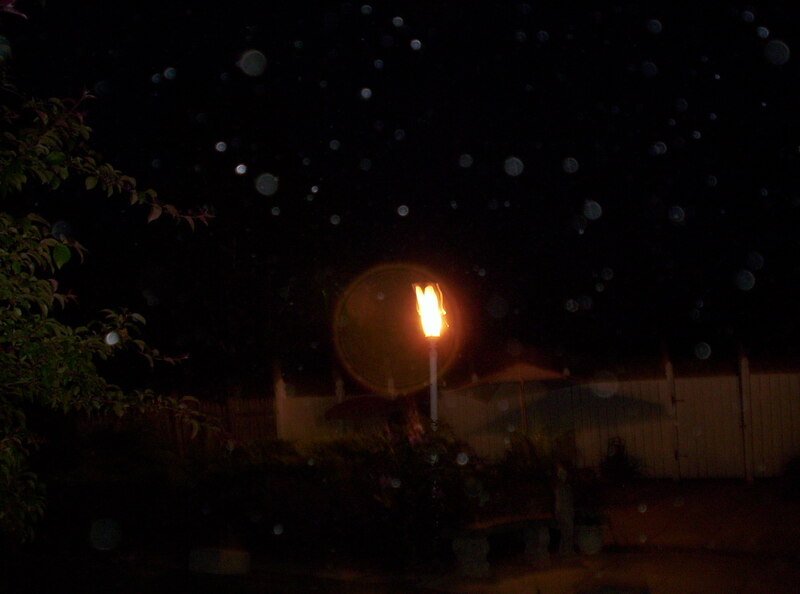 I would like to share 2 of 100 spirit orb photos that were taken last night June 2 2010. 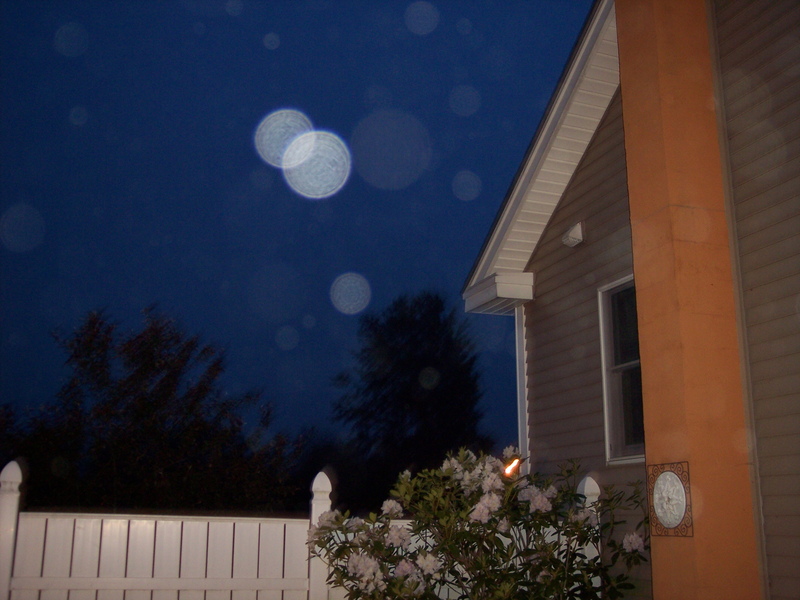 The first photo with the many orbs, one golden orb and notice our outdoor light, this photo was taken with my kodak 3.2 mega pixel camera. The second spirit orb photo was taken with my kodak 6.1 mega pixel camera. Anyone can take these type’s of spirit photographs, you just have to keep an open mind and of course take some photographs. It doesn’t matter if your indoors or outdoors. I use mostly two kodak digital cameras and a few of the $4.00 disposable cameras. I prefer the digital cameras because I can instantly download the photos to my computer and see what I have.